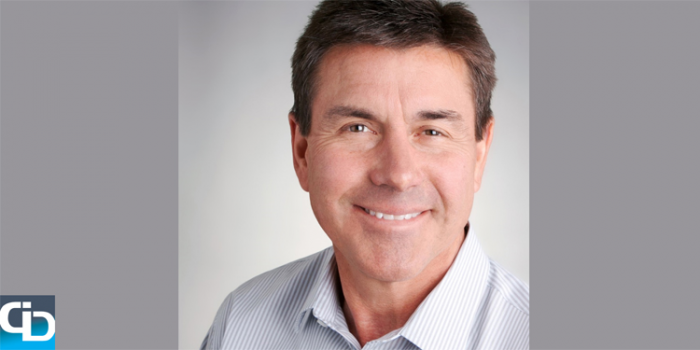 John Schroeder has led multiple successful startups, two to buyouts by EMC and Microsoft, a third to an IPO in 1998 and he is taking MapR Technologies public this fall. He is currently the CEO and Co-Founder of MapR Technologies that he founded with Chief Technology Officer M.C. Shrivas in 2009. MapR is the leader in Apache Hadoop Technology for Big Data Deployments and is headquartered in the heart of Silicon Valley in San Jose, CA. MapR has grown to over 300 employees, has over 700 customers worldwide and has raised over $170 million in financing. John recently sat down with icrunchdata to discuss the history of MapR Technologies, how he sees Hadoop evolving in the next 12 months and his top three priorities leading up to MapR’s IPO this fall. John, thanks for talking to us today and let’s get started. You are the CEO of MapR Technologies, a company you co-founded almost six years ago. What are you most proud of in the last six years? We have accomplished a great deal in the past six years. I’m proud of our employees, our industry-leading technology, and our contributions to the community, but I’m proudest of the business impact our customers have made. We have customers that are generating hundreds of millions dollars in bottom line results. MapR is used today to perform over 100 billion ad auctions a day, study 96% of the U.S. internet traffic, and analyze over a trillion dollars in retail purchases. The examples go on and on across industries of how our customers are better able to increase revenue, reduce costs, and mitigate risk with MapR, but it’s the customer innovation that I’m particularly proud to see. We recently surveyed our customers and nearly three quarters of customers are using MapR to create new products or services. Last June, MapR received a $110 million financing round led by Google Capital. What has changed within the organization since then? We’ve increased our substantial engineering investment in the community, not only through open source product contributions and leadership in projects such as Apache Drill and Apache Myriad, but through comprehensive, free on-demand-training. We released this training last quarter and the customer response has been dramatic with 10s of thousands of participants worldwide. Engineering is also expanding our platform capabilities and you’ll be wowed but what we have planned for release in 2015. We’ve continued to accelerate our high growth with investments in go-to-market. General administrative areas grew to support MapR as a public company. As Hadoop continues to mature, what will be the biggest shift in the next 12 months? The market is shifting to real-time applications. Applications that enable organizations to impact the business as it is happening. Customers are looking to actively prevent fraud through the better use of data while a transaction is happening. Companies are optimizing revenue by better tailoring online sessions to recommend the right products to their customers. Organizations are reducing costs by responding to maintenance issues before there is downtime. MapR has invested heavily from day one to create an enterprise-grade, trusted platform to support real-time applications. As the market continues to mature these unique capabilities of MapR will be the singular alternative. It was reported in January that you are eyeing a late 2015 IPO. What are your top three priorities leading up to the IPO? Delivering on our product roadmap and ensuring customer success. We are focusing on getting the company financially and operationally ready to perform as a public company. Executing on our GTM plan to continue our accelerated growth. You’ve been the CEO of two companies that were acquired by EMC and Microsoft; you were SVB at Brio Technologies (BRYO) and now taking MapR public. What factors do you consider when deciding to take a company public, keep it private or go through an acquisition? While all three startups were very successful and provided a great return to shareholders both investors and employees, MapR is the Oracle opportunity of our time. We have the best product in a $60B market. MapR addresses database, NoSQL, data warehouse, primary storage and secondary storage market needs unlike MapR competitors that only address data warehouse and secondary storage markets. The breadth also means MapR can service a broader range of the customer use cases. We will be a public company based upon high growth and high quality (high gross margins) business. MapR customer continued net expansion rate of 140% is a great proof point. To give you an idea of what this means, close to 20% of our customers have over 50 different application use cases running on a single MapR cluster. You received your BS in Computer Science from Southern Illinois University. Myself and the Co-Founder of icrunchdata also graduated from SIU. What do you remember most about your time there? The SIU computer science department at the time was one of the few schools to have a small program where undergrads did their labs like writing assemblers, linkage editors and simulators on an IBM mainframe which was the dominant platform at the time. SIU computer science grads were heavily recruited by IBM and leading enterprise and aerospace companies. My SIU experience led to my first job working for a leading system integrator as a software engineer developing database projects for IBM. I enjoyed my time at SIU and have great memories of the legendary Halloween campus party. John, thanks for your time today, and yes… the SIU Halloween parties were legendary.